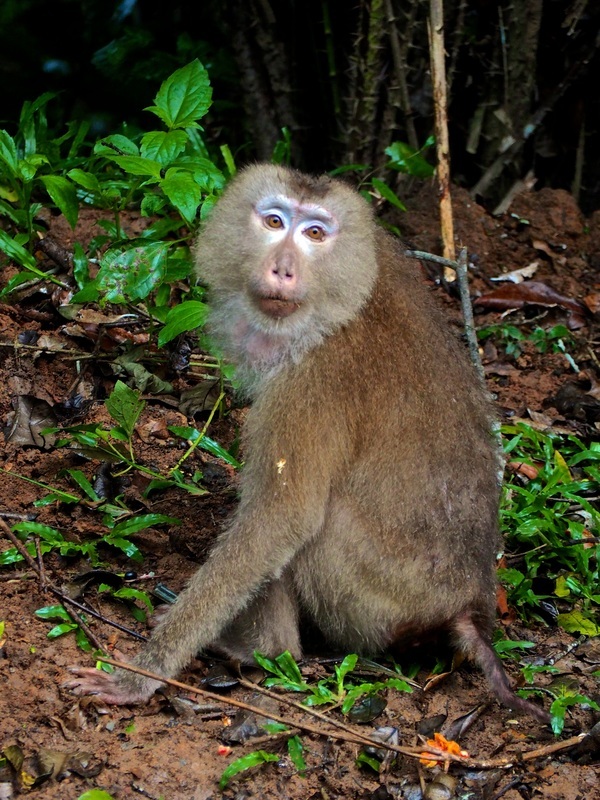 Khao Yai National Park is the most visited National Park in Thailand, and for good reason! In 1962, this magnificent natural reserve became the first National Park in Thailand and at over 2000 square kilometers it is currently the third largest in the country. 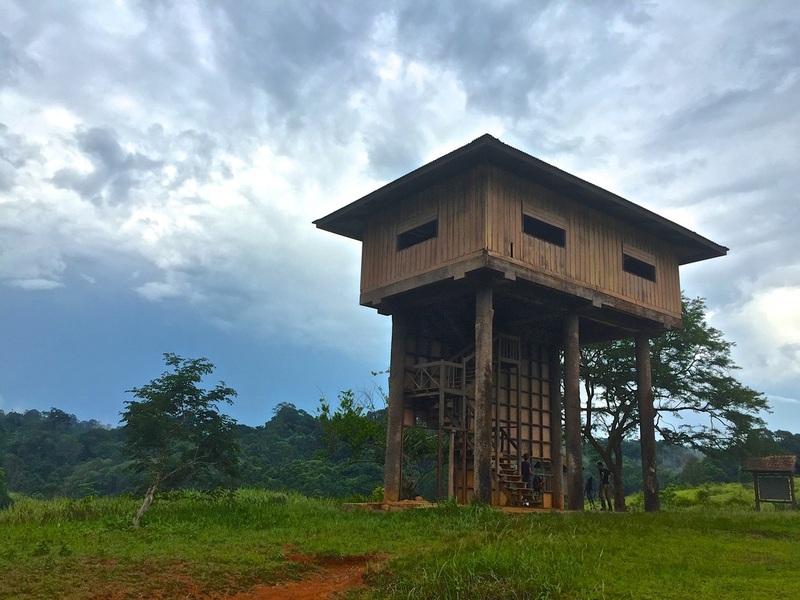 In 2005 this unique park was once again recognized as it became a part of the UNESCO World Heritage Listed Dong Phaya Yen – Khao Yai Forest complex. 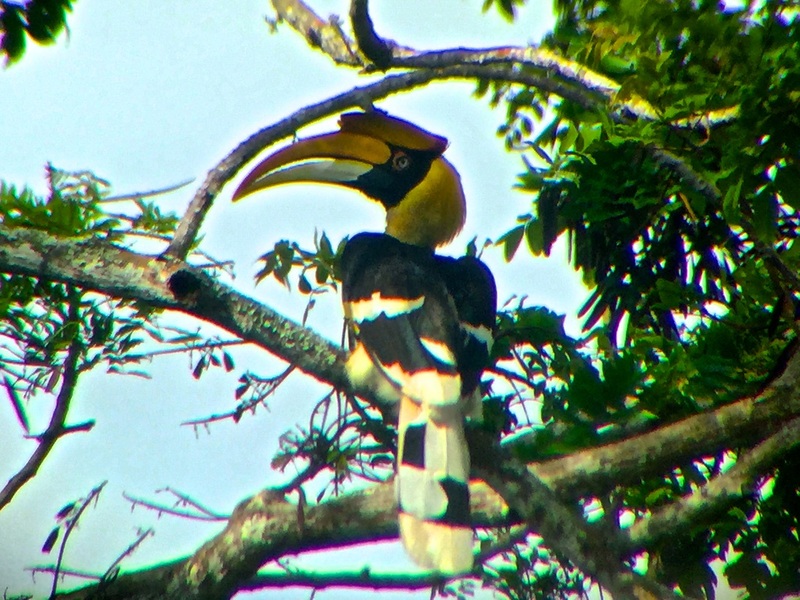 Khao Yai is home to over 300 bird species, 70 mammal species and 74 different reptiles and amphibians! When you consider that this includes wild Asian Elephants, two species of bears and even endangered tigers, it’s not hard to see why this National Park has become a hot spot for wildlife spotting in Thailand! 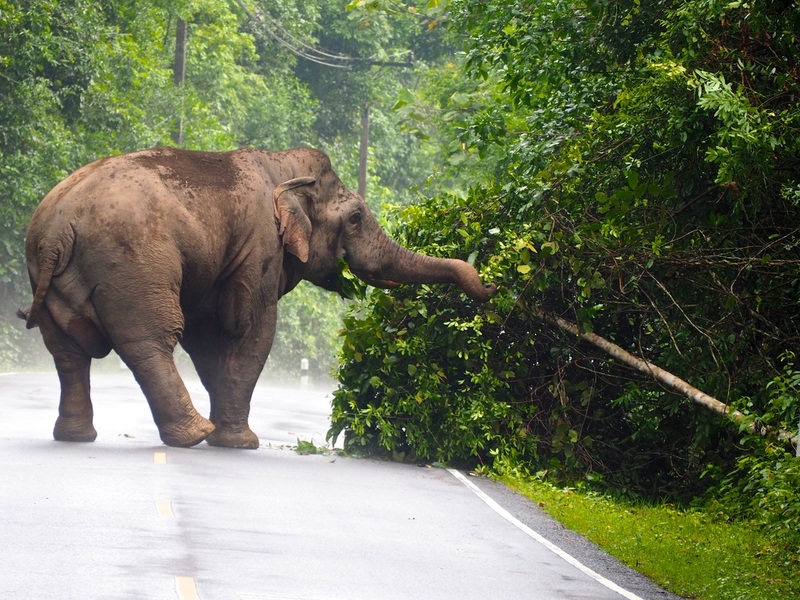 The main entrance to Khao Yai National Park is south of the small town of Pak Chong which lies roughly 180km northeast of Bangkok. The drive from Pak Chong town centre to Greenleaf Guesthouse is roughly 20 minutes. 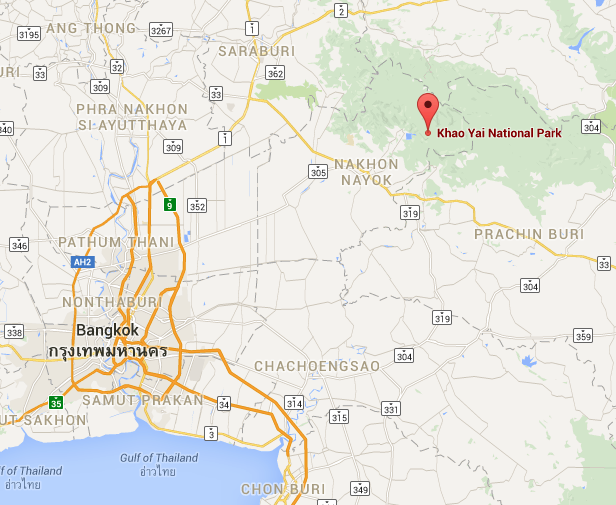 From there it is roughly another 20 minutes drive to the gate of Khao Yai National Park. Khao Yai has three main seasons during which the temperatures range from 10 – 30 degrees Celsius. Greenleaf Guesthouse is a family run business located on the main highway between Pak Chong and Khao Yai. The guesthouse consists of a small restaurant - that churns out some incredibly cheap, tasty Thai favourites – and a guesthouse out the back away from the main road. The rooms in the guesthouse are basic but spotlessly clean and come with private bathrooms with hot shower, fan and a comfortable bed. But let’s be honest, you don’t come to Greenleaf to hang around the guesthouse. You can read our full review of Greenleaf Guesthouse here. Greenleaf offer both a half day and a full day tour. 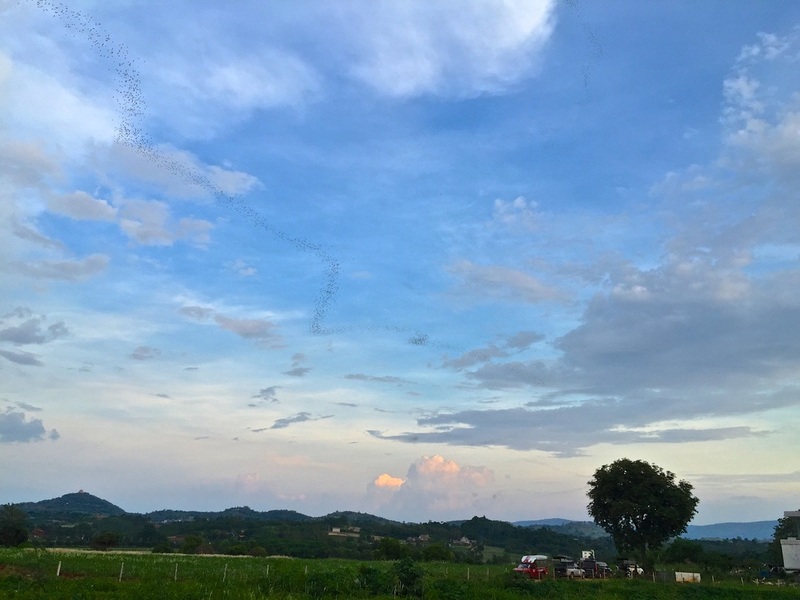 The half day tour explores an underground cave, a natural spring and concludes with a sunset you will never forget as you watch thousands of bats swarming out of a cave for their nightly hunt. It Is an incredible sight and one that must be seen to truly be appreciated. 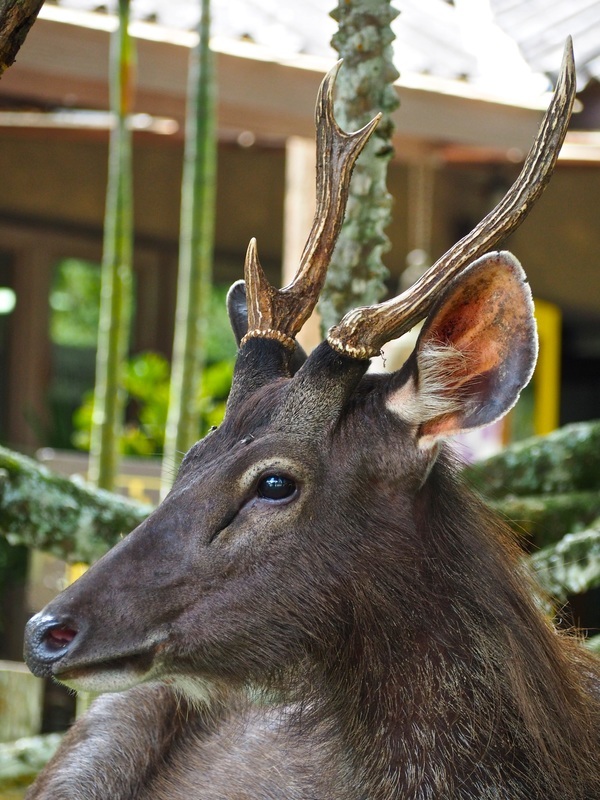 The full day tour takes you into Khao Yai National Park where an experienced guide takes you on a trek through the forest, a jeep safari to spot wildlife and a visit to a beautiful waterfall. Other tours such as specific birdwatching tours can be arranged via Greenleaf for private groups and upon availability. When we called Greenleaf Tours at 8am and asked if we could stay at their guesthouse and go on one of their tours, it took them less than 5 minutes to have a car waiting to pick us up outside our hotel in Pak Chong. This service is complimentary for anyone who books onto a tour or stays at the guesthouse and makes getting to Greenleaf a simple, fuss free process. Upon arrival at Greenleaf Guesthouse, we were greeted by the delightful staff who sat down with us and explained their tours and showed us some fantastic photos of the wildlife that can be found in Khao Yai National Park. They showed us to our room and gave us some time to decide whether we wanted to do one or both of the tours on offer. ​​We decided to make the most of our time and do both tours – the half-day caves and bat tour and the full day tour of Khao Yai. While we thought the price of the tours were very reasonable to begin with, it’s even better value considering they discount the price even further if you book onto both tours! The half-day tour saw us visit a natural spring, an underground cave and finally the bat cave at sunset. 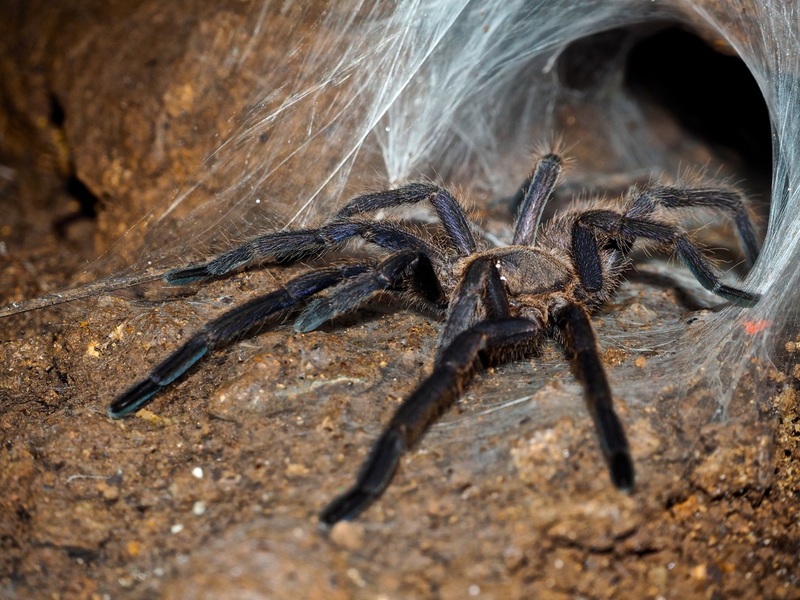 During this time our guide caught a snake, pointed out various creepy crawlies (HUGE tarantulas in the cave! 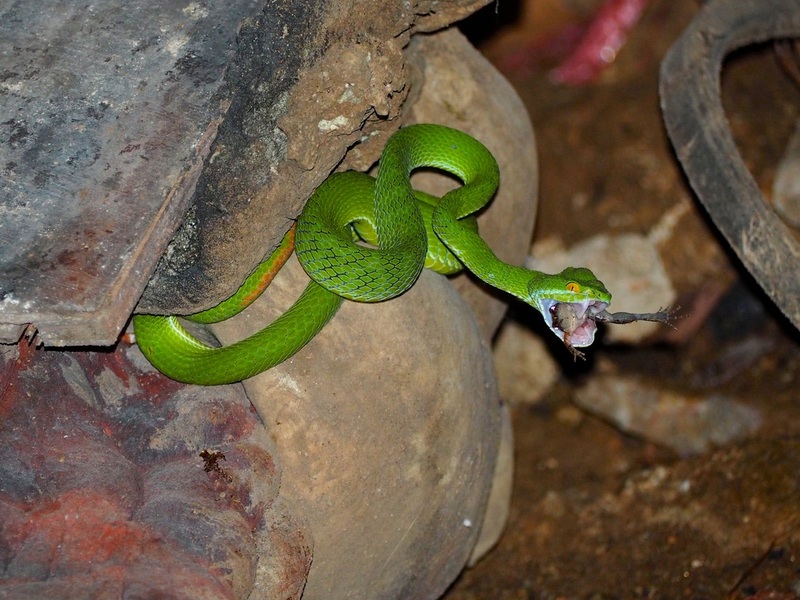 ), explained the landscape and we were even lucky enough to witness a Pit Viper catch a frog right before our eyes! The cave was small but interesting and full of Buddhist shrines. The following day we had an early start for the full day tour of Khao Yai. We had a group of seven people, accompanied by a guide and a driver. Before we even arrived at the entrance to the national park, the guide stopped the car suddenly to catch a snake from a nearby tree! We started by visiting the Park Headquarters where there is some great information and displays about the flora and fauna found inside the park as well as general facts and information about the parks history. 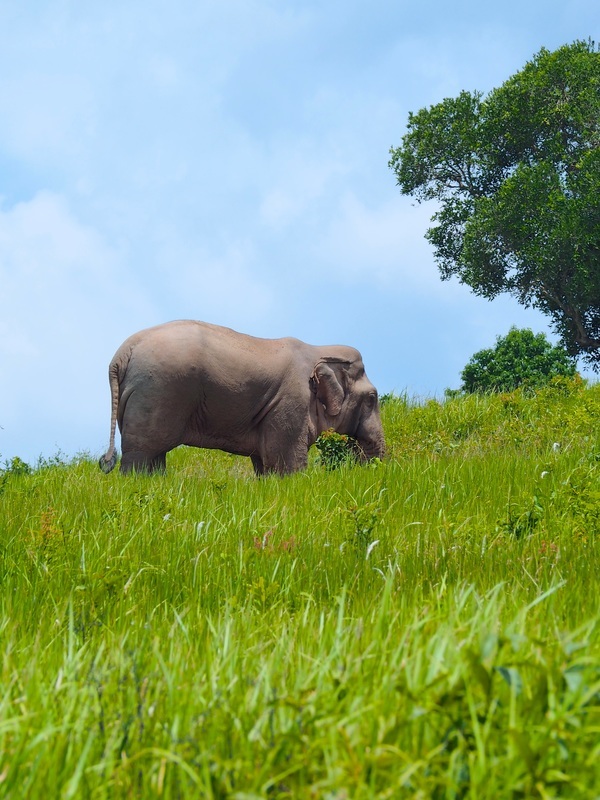 ​But nothing could compare to the one animal we had come here for – wild Asian Elephants. When our guide got the call over the radio that an elephant had been spotted, I couldn’t have been more excited! ​As we drove through the park, I was hoping it would still be there when we arrived. We pulled up alongside a grassy field and there it was. Standing elegantly in the distance, we stood in silence and watched as the elephant grazed on a salt lick. Our guide pulled out a large telescope so we could see the elephant up close. He was even able to take photos on our cameras through the lens which was super cool! Seeing an elephant in the wild is an incredible experience and one I will never forget. 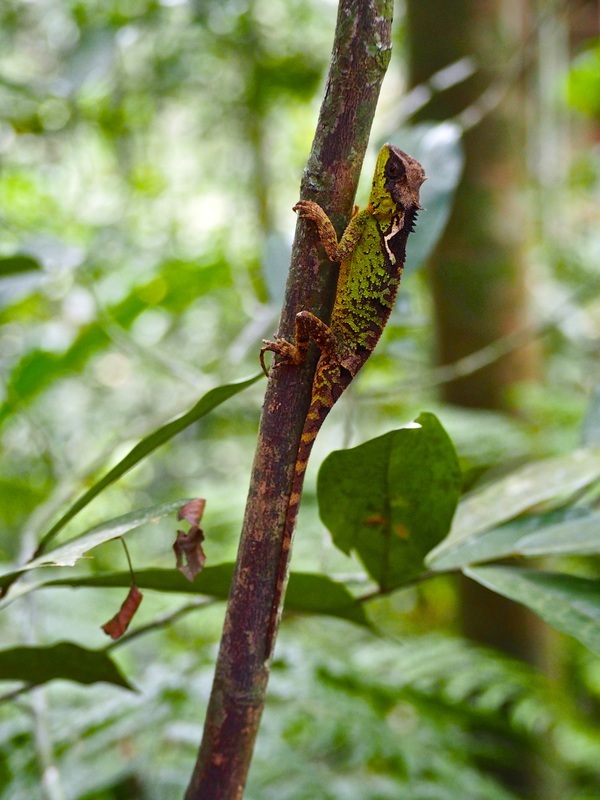 We then did a two hour trek through the jungle spotting insects and looking for gibbons but sadly, although we heard them, we weren’t able to see any on this particular day. When it started to rain, we were super grateful for our leech socks as the little buggers are very common in Khao Yai particularly during the wet season. The trek eventually took us into a large clearing where we climbed up a tall viewing tower for shelter from the rain and to enjoy our pre-packed lunch of fried rice and vegetables, a piece of fruit and a drink. Our final destination for the day was one of the parks four waterfalls where scenes from the movie The Beach were filmed. On our way to the waterfall, we were lucky enough to come across the same elephant as before only it was now ripping down trees and eating it’s way through the park! It was incredible to see this amazing creature not once but twice and we appreciated every minute we had with it. When it started to rain towards the end of the day, our guide took us into a small shelter where he bought us all hot coffees and drinks while the rain stopped. The day was absolutely fantastic and we returned back at the guesthouse at around 4pm. Our guide was friendly, knowledgable and spoke excellent English. The lunch and snacks provided were simple but substantial and the park itself is excellent. I would highly recommend Khao Yai to any visitors to Thailand and Greenleaf Tours is by far the best value and service tour in the area.